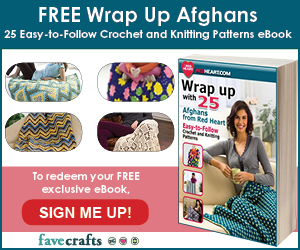 After last week’s Doctor Who roundup, the next logical fandom to cover was Harry Potter! The Harry Potter series was a huge hit with both the kids and adults here. Our youngest two are making their way through the books now, and the movies have all been watched dozens of times. 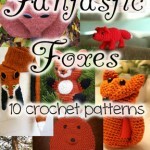 And as a crocheter and knitter, I couldn’t help but notice all the fantastic yarny items worn by the characters! 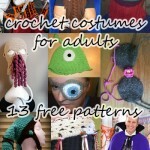 The movies and books, as well as the costumes, have inspired entire books of patterns, as well as some free ones. 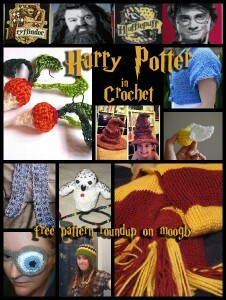 So I’m pleased to present 10 free Harry Potter crochet patterns! 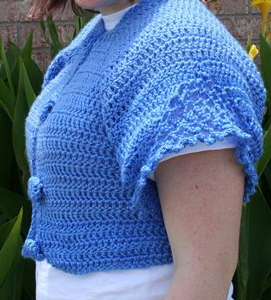 Luna Lovegood Scarf by Melissa Helton, on Craftster: A perfect replica of the one Luna wears in the movie! So pretty! 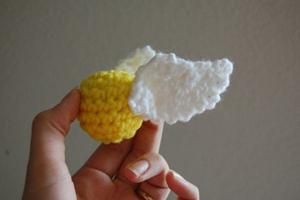 The Golden Snitch by Melissa Mall, on Inner Child Crochet: A free pattern for this most valuable ball! 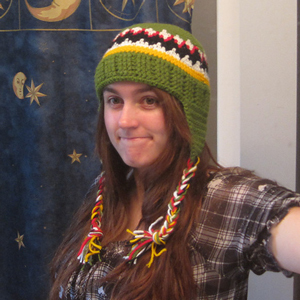 Crochet Ron Weasley Animal Crackers Hat by Kristen Mohr Hyperspace Portal: Fantastic interpretation of this hat, seen in HP3! 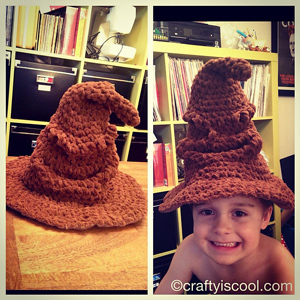 Harry Potter Sorting Hat by Allison Hoffman, on CraftyisCool: It’s got the grouchy face and everything – I can practically hear it talking to me! 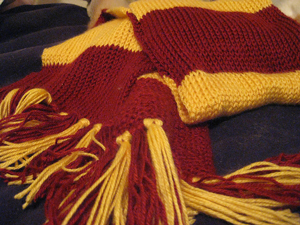 Harry Potter Gryffindor Scarf by Lillian Wong, on Live. Love. Laugh. 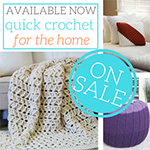 : This Tunisian crochet pattern can be made in the house colors of your choice! 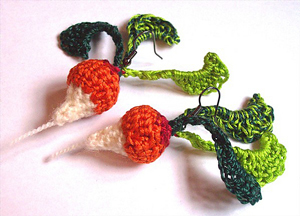 Luna Lovegood’s Radish Earrings by Aoibhe Ni, on Thread Bear’s Picnic: Luna’s fashion sense is so inspirational! 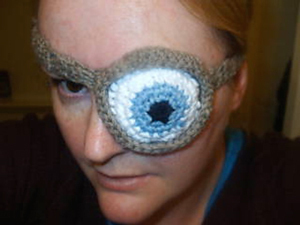 Mad Eye Patch by Kelly Norman, a Ravelry download: Mad Eye Moody approved! 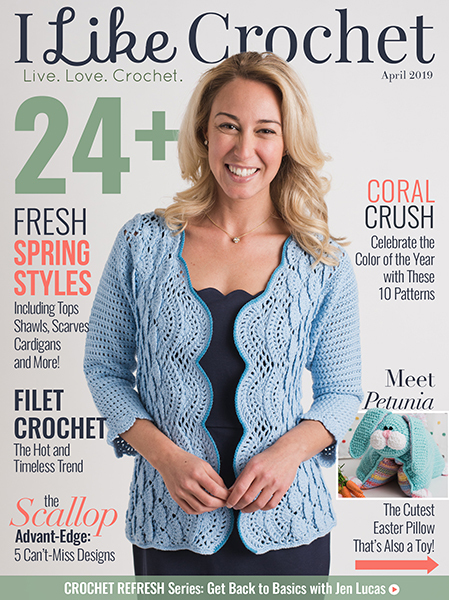 Luna Lovegood’s Thestral Cardigan by Megan Nieves, on The Leaky Cauldron: I know I’m not the only crocheter who noticed Luna’s sweater in this scene! 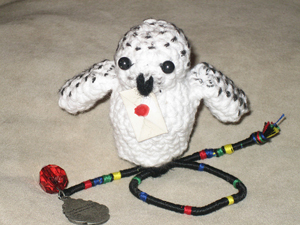 Snowy Owl Amigurumi by AnnaMarie Stone, on Threads Unraveled: Faithful Hedwig! 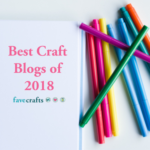 Carrying a letter of great importance – glad it’s not a Howler! The HP Patterns on Totallee, by Lee Mac: I can’t pick, so I’ve linked you to her free patterns page! 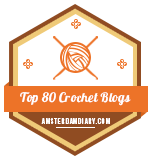 Lee has an AMAZING selection of Harry Potty portraits and crests, all worked up in intarsia crochet. 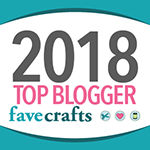 Scroll down the page a bit to see the full selection! So impressive! Ready for a butter beer in Hogsmeade? 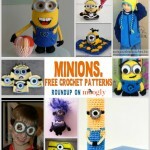 This roundup certainly has me in the mood. 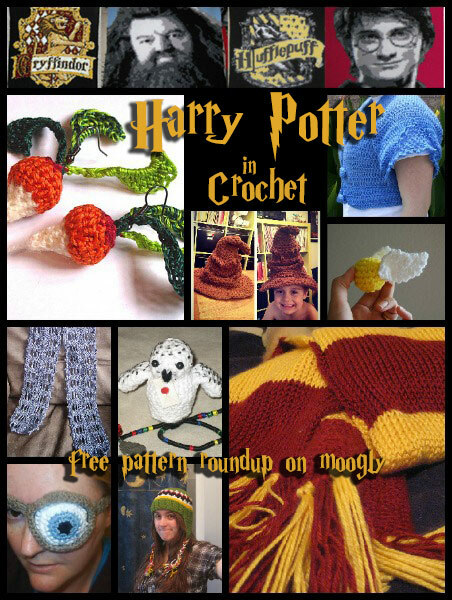 I love these movies, and these Harry Potter crochet patterns – I hope you do too! 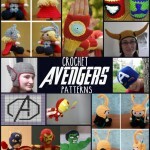 Earth’s Mightiest Heroes: Free Crochet Avengers Patterns!